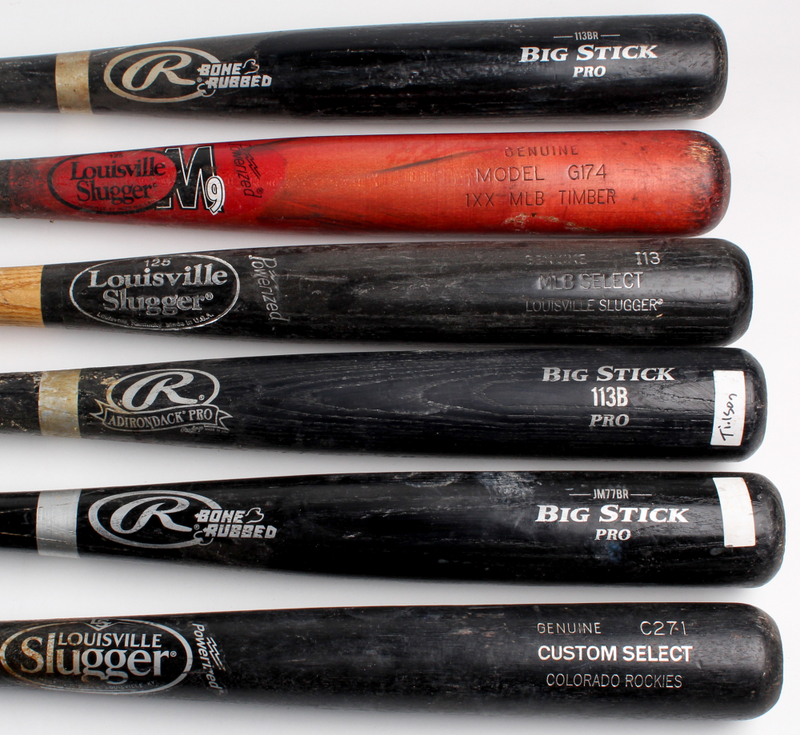 Lot includes all (6) Assorted game-used baseball bats. 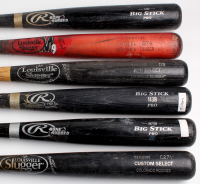 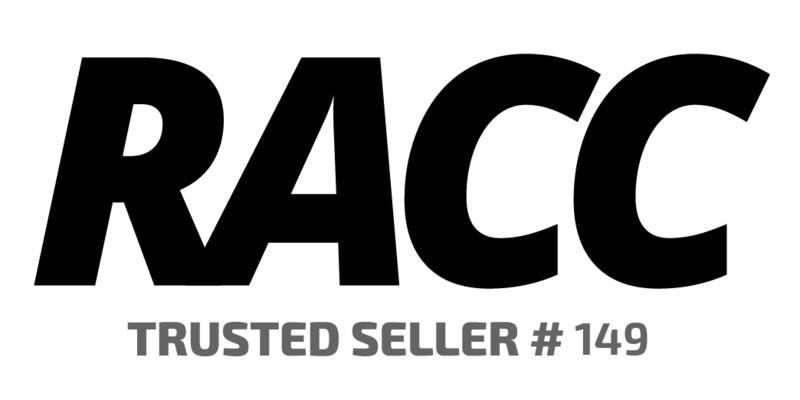 Lot includes (3) Louisville Slugger Baseball Bats, (2) Rawlings Big Stick Pro Bone Rubbed Baseball Bats, and (1) Rawlings Adirondack Pro Baseball Bat. 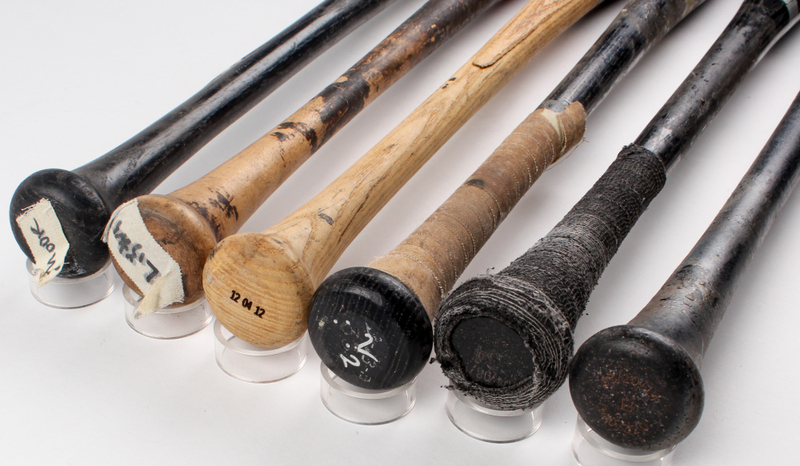 Baseball bats have been cracked and used by unknown players.